Home/Display 101/Self or Mutual Capacitive Touchscreen? 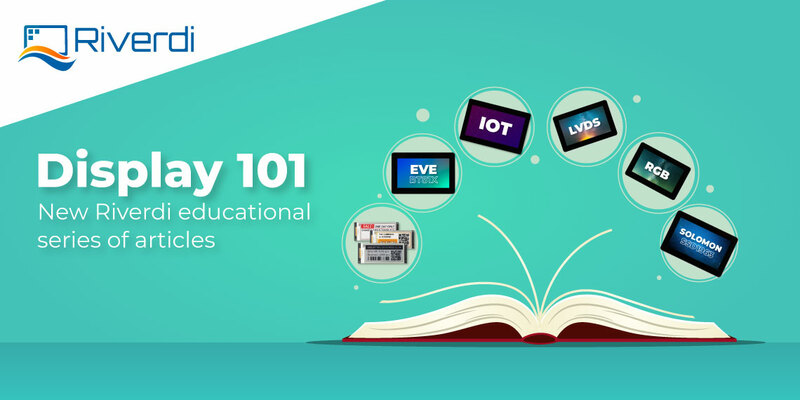 It’s time for the second post in our Display 101 series, where we teach you everything you need to know about intelligent displays. 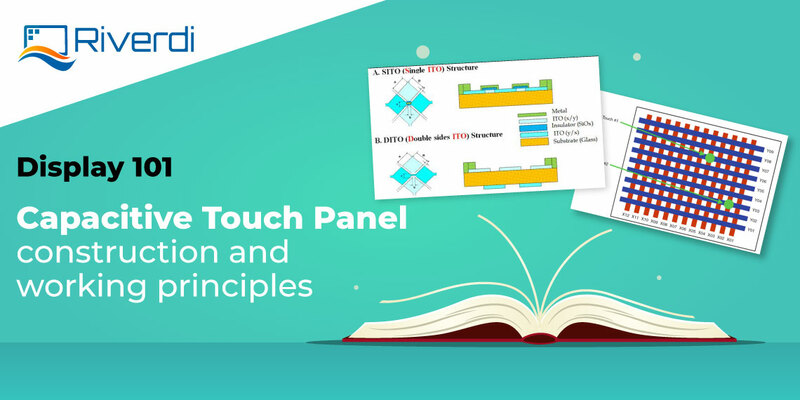 Last time we talked about the difference between resistive and capacitive touch panels, and now, we go more into detail of the latter kind. 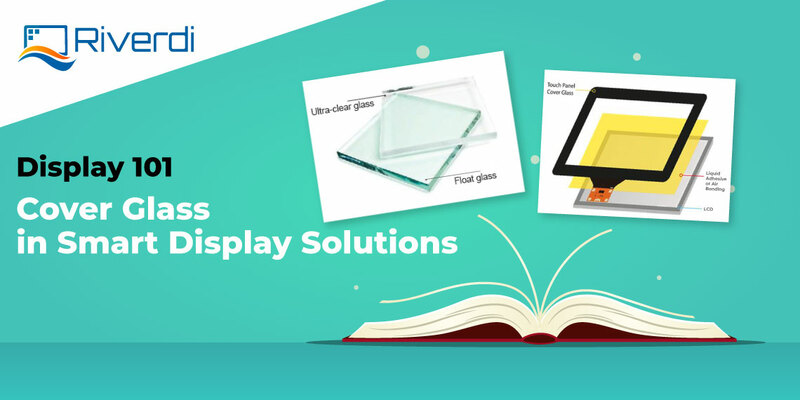 Today, capacitive touchscreens are used more often than resistive ones. 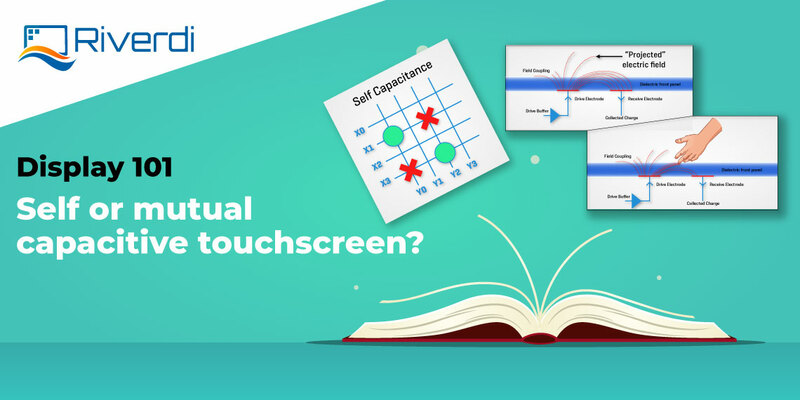 When it comes to devices, we can meet two kinds of capacitive touch panels: self and mutual capacitance. First, the self-capacitance kind of touch panels has electrodes, with current flowing through each of them. Now the touch panels, has two layers of electrodes, one that contains the horizontal electrodes, and one with vertical electrodes. 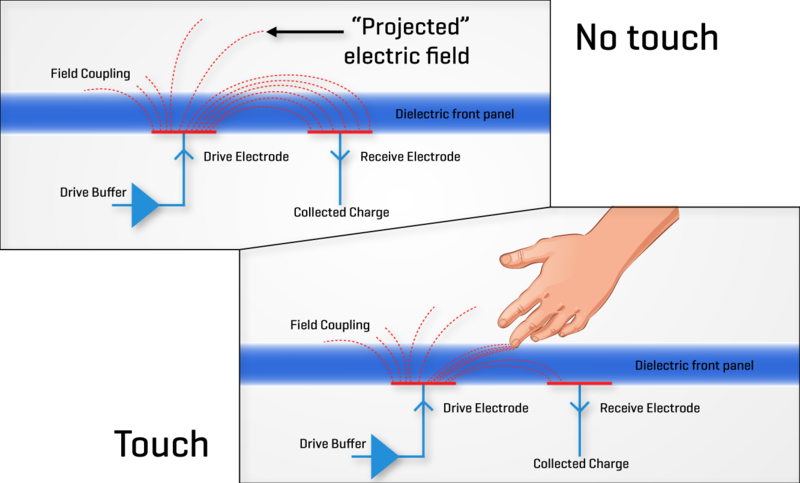 When a finger touches the surface, the capacitance changes on both lines. The controller can read which electrodes have different capacitance thus creating an x,y coordinate for the touch. The problem will arise when two or more fingers are simultaneously in the active area. You see, that means that four or more electrodes will change their capacitance. This disadvantage has a name – ghost-point – and we will explain it below on an example of two simultaneous touches. The green points (on the image below) were touched at the same time, so Y0, Y2, and X1, X3 electrodes change their capacitance. Because the same electrode is used for the red point, the controller can’t find the correct touch coordinates. 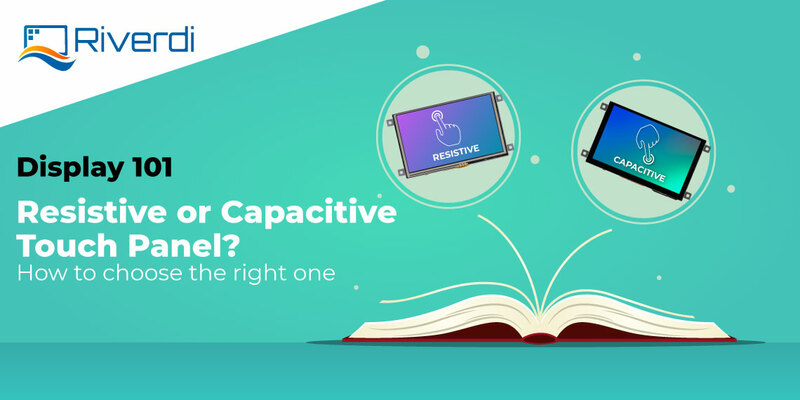 Below we will describe two other kinds of capacitance touch solutions that don’t have a problem with these ghost points. 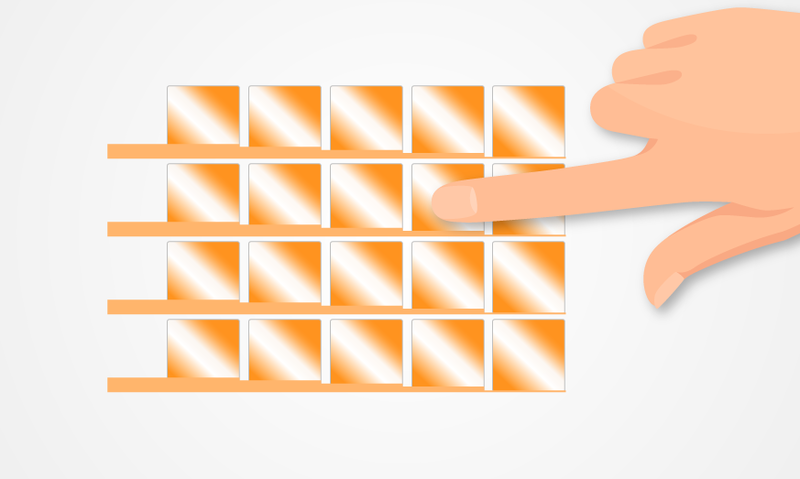 Another kind of self-capacitive touch is the type of technology where the active area is covered in multiple separate pads on a single layer. As every pad needs to be checked individually, the controller has a lot of ports to read the status from. This idea is rarely implemented in a device because it quickly increases the complexity of the circuit with a growing resolution of the active area, making it not workable in common applications. A new type of technology that has emerged is mutual capacitance. Now, we’ll explain how it works, too. The touch panel contains a grid, like an array, where it consists of an X by Y array of traces, creating X*Y units of capacitors. It creates a mutual capacitance between the elements of the columns and rows. The controller measures each node separately, changing the distortion of the electrical field to the touch position. So, when the finger is near the screen or touches it, the capacitance decreases. Although mutual capacitance is more popular today, it has a major disadvantage – lower immunity to touch noise. It’s more easily disturbed by water or dust on the touch area. 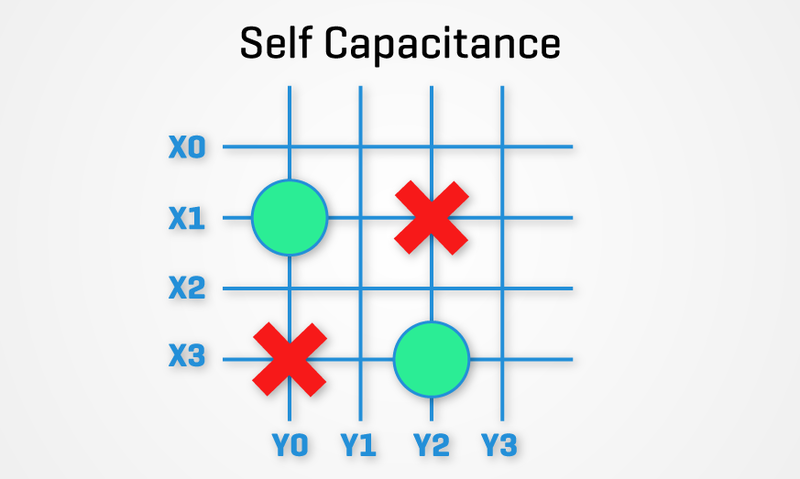 Also, the controller needs to do more calculation than in the case of self-capacitance.